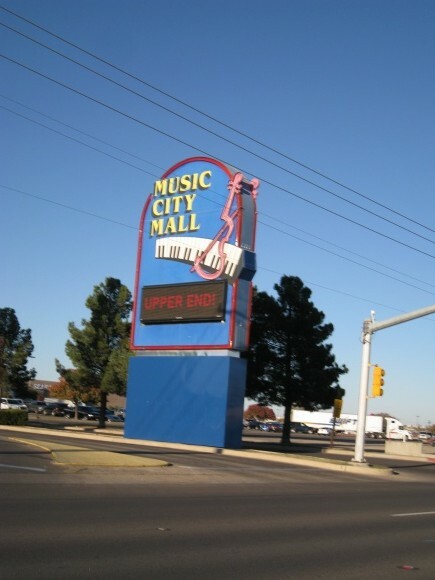 Music City Mall opened in 1980 as Permian Mall, located on the northeast side of town along Highway 191 and kitty-corner to the University of Texas – Permian Basin. 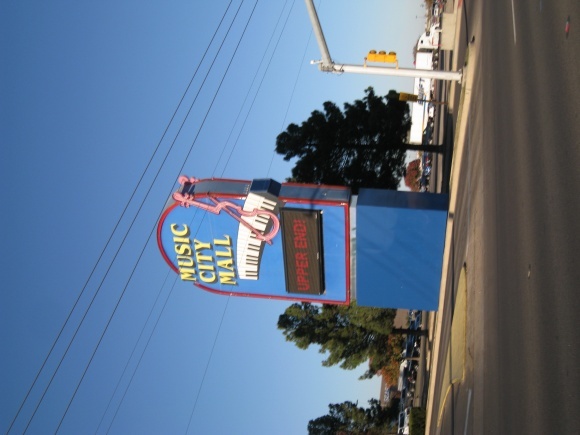 Permian Mall wasn’t Odessa’s first enclosed mall, either. The much smaller Winwood Mall, located a few hundred feet to the west, predated it by several years. Winwood opened in 1973 and was anchored by a movie theatre, Woolco, Montgomery Ward and JCPenney, the latter of which moved to Permian Mall when it opened. An undated photo of an entrance of Winwood Mall is located here. 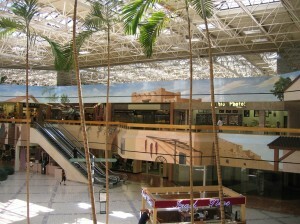 Is this photo the interior of Winwood Mall? (It’s not labeled.) 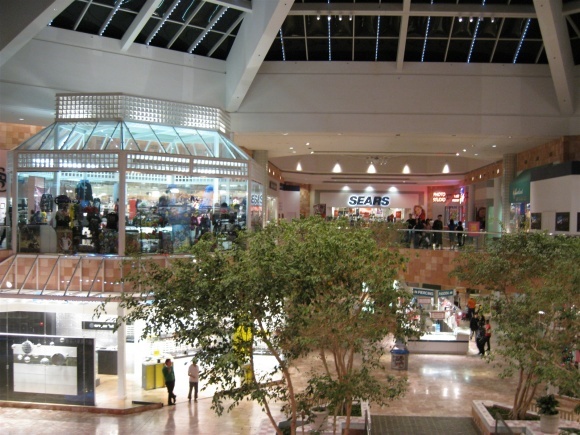 Today, Winwood Mall is called Winwood Town Center, and has been transformed from enclosed mall into a row of both Big Box and smaller stores in typical strip-mall fashion. Major retailers at today’s Winwood Town Center include HEB (grocery), Ross Dress For Less, Michaels, Hastings, and Target. When did the original Winwood close? When was it demolished? 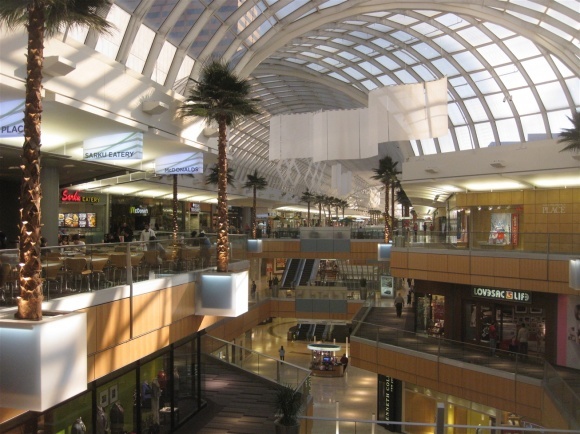 Situated on the far north side of Dallas at the intersection of I-635 and the Dallas North Tollway, the upscale Galleria Dallas opened as Dallas Galleria in 1982. The large, three level mall was originally anchored by Chicago-based Marshall Field’s on the north end and Saks Fifth Avenue at the south end, with over 150 upscale stores and a 432 room Westin Hotel in tow, and was modeled after the historic Galleria Vittorio Emanuele II in Milan, Italy. 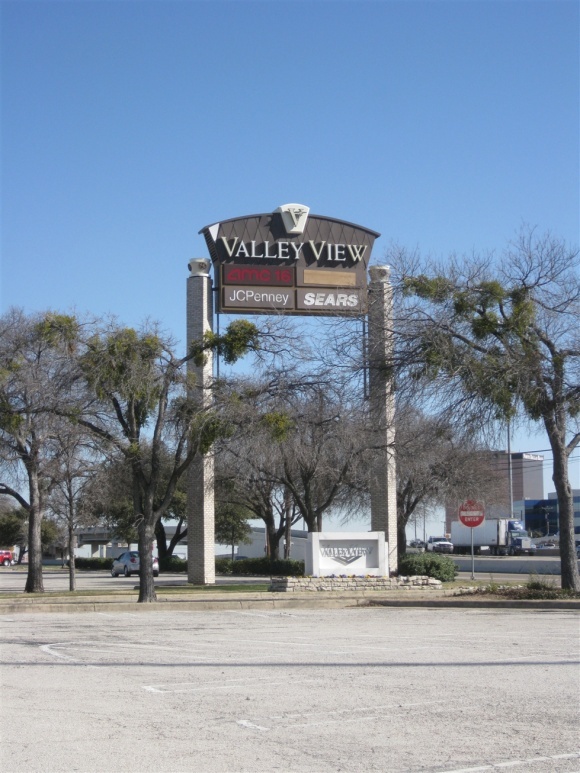 Opened in 1973, Valley View Center was the first major mall in far north Dallas, the expansive, monied area of the DFW Metroplex located north of I-635. Valley View is situated at I-635 and Preston Road, about 13 miles north of downtown Dallas. When it opened, Valley View Center was on the edge of town – today, Valley View is only a third of the way from downtown to the edge of the Metroplex. After 36 years, multiple expansions and competition appearing literally adjacent to it, Valley View is on the precipice of a major change after having seen better days. 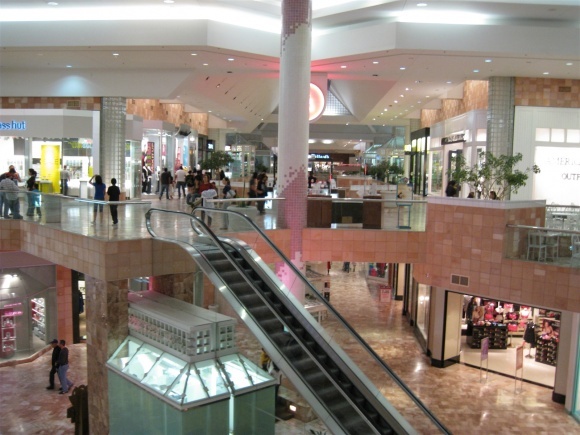 The North Star Mall is a 200 store, 1.2 million square foot enclosed mall anchored by Dillard’s, JC Penney, Macy’s, and Saks Fifth Avenue. Originally developed in 1960 by Community Research & Development Corporation (which would later become The Rouse Company), the mall was initially a far smaller center anchored by Wolff and Marx, H-E-B, and Walgreens, along with about 50 in-line merchants. 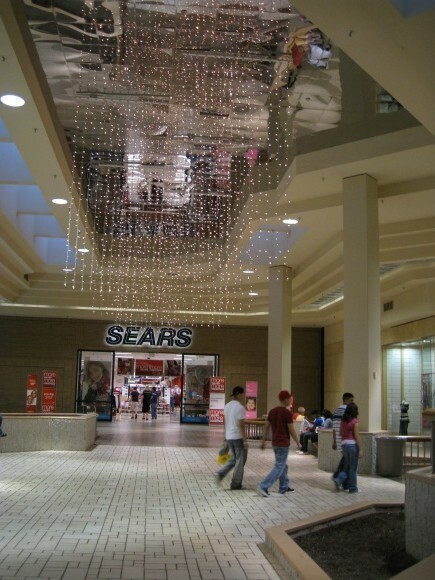 Located 10 miles southwest of downtown Dallas, at the interchange between US 67 and Interstate 20, Southwest Center Mall is both an anachronism and an eyesore. But what an amazing eyesore it is. One needs only to take a look at the photos to understand what a unique specimen this is, in terms of design, decor, and blatant inadequacy. But let’s dig a little deeper and try to figure out what happened.